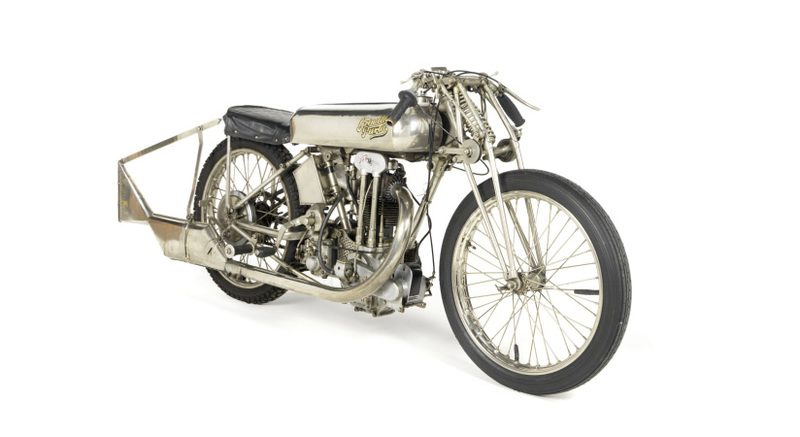 Rare Brooklands racing motorcycle from Bonhams. One of only two of its kind known to have survive lapped Brooklands at over 100mph in 1937. An amazing feat, especially when you see old photos of Brookland where every vehicle seems to be off the ground. 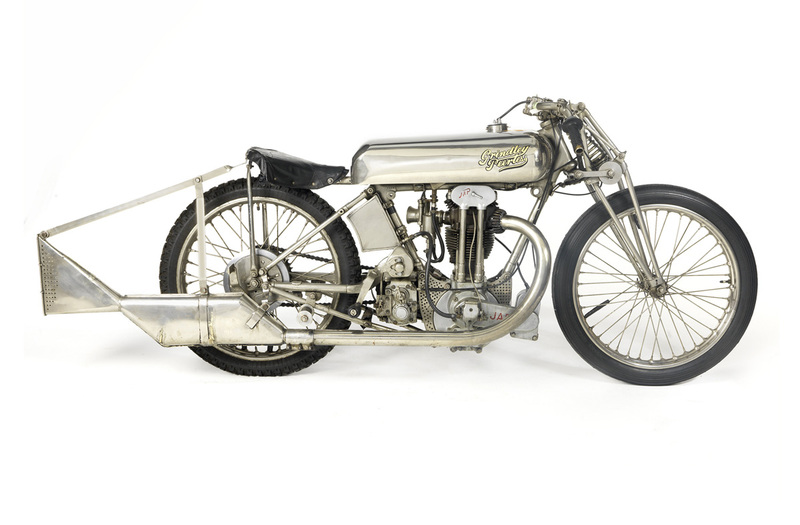 An extremely rare racing motorcycle from the 1920s that lapped the famous Brooklands race circuit at over 100mph. When Grindlay-Peerless rider C W G ‘Bill’ Lacey became the first man to cover 100 miles in an hour on British soil in August 1928, the Coventry factory lost no time in bringing out a replica of his machine, the Brooklands ‘Hundred Model’, of which only five or six were ever made.